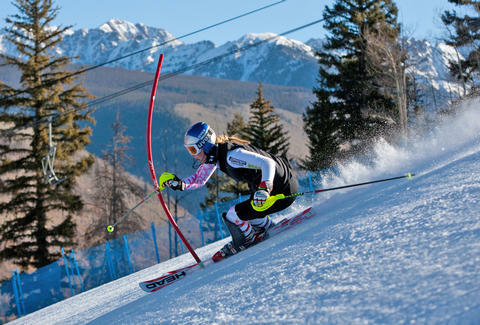 World Champion Lindsey Vonn training at Vail. Photo by Jack Affleck. The Deal: Kids fly free on American Airlines flights to-and-from Eagle Airport, Colorado. Kids also receive free shuttle transportation from Eagle Airport to Vail or Beaver Creek via Colorado Mountain Express. Kids ski and stay free with a paid adult at Vail and Beaver Creek. Plus any guest, regardless of age, can ski free on the day of arrival into Eagle Airport through the Fly In Ski Free program. Why It’s a Deal: Do the math, it’s literally hundreds of dollars saved. For each paid adult fare (age 18 and above) for direct commercial flights into Eagle Airport, American Airlines is offering one free child's ticket for ages 2-12. Upon arrival, children also receive free transportation to and from Vail or Beaver Creek via Colorado Mountain Express (CME) with a paying adult; free skiing or riding at Vail and Beaver Creek with a paying adult; and free lodging with a paying adult at select properties in Vail and Beaver Creek. Caveat: Airline tickets for the Kids Fly Free promotion cannot be purchased without lodging. Families must travel to Vail or Beaver Creek between Sunday and Wednesday and from the resorts between Tuesday and Friday. The American Airlines offer is valid for travel December 1-17, 2009 and January 3 – February 10, 2010 with no blackout dates; travel must be booked by Feb. 10, 2010. Guests may stay a minimum of 2 days and a maximum of 30 days.